They say a photograph is worth a thousand words. So, what stories are your images telling? This event is geared towards all photographers who seek to create not just pretty pictures, but also a way to deliver a story in an impactful manner. 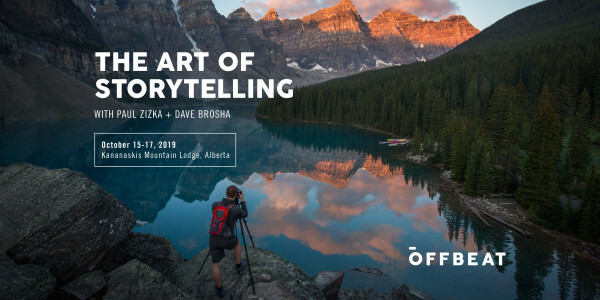 Over three intense days, blending field time and classroom time, OFFBEAT co-founders Dave Brosha and Paul Zizka will guide you as you strive to take your photography to the next level. This unique workshop will provide you with an intimate creative experience in an inspiring, retreat-like setting to help you improve your storytelling abilities. The event will run from 3PM on October 15, 2019, through to approximately 2PM on October 17, 2019. A detailed itinerary will be released to participants well in advance of arrival. Payment options: Full payment or $750+GST non-refundable deposit to secure a space with balance due June 30, 2019. 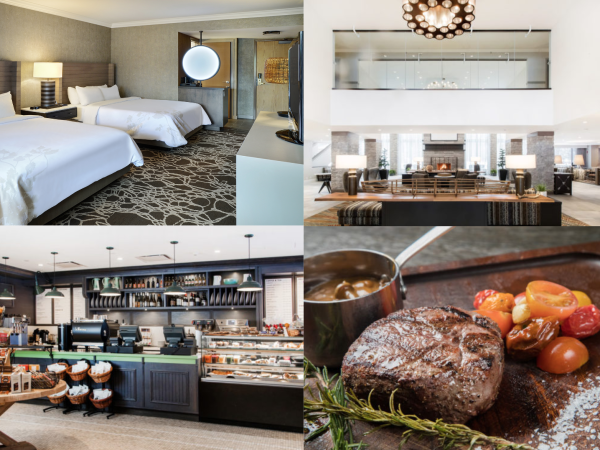 Nestled in the heart of Alberta's beautiful Kananaskis Country, the newly-renovated Pomeroy Kananaskis Mountain Lodge is located just 1 hour from Calgary, and provides a relaxed, retreat-like setting amidst a stunning mountain environment. The lodge also features a brand new, 50,000 square foot Nordic Spa. You may like to extend your stay to take full advantage of the amenities and activities in the region.